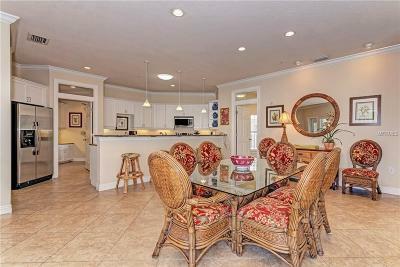 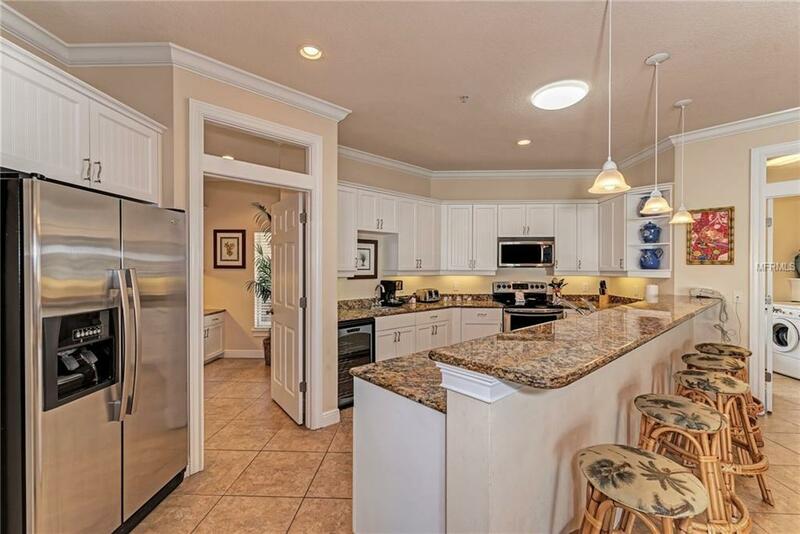 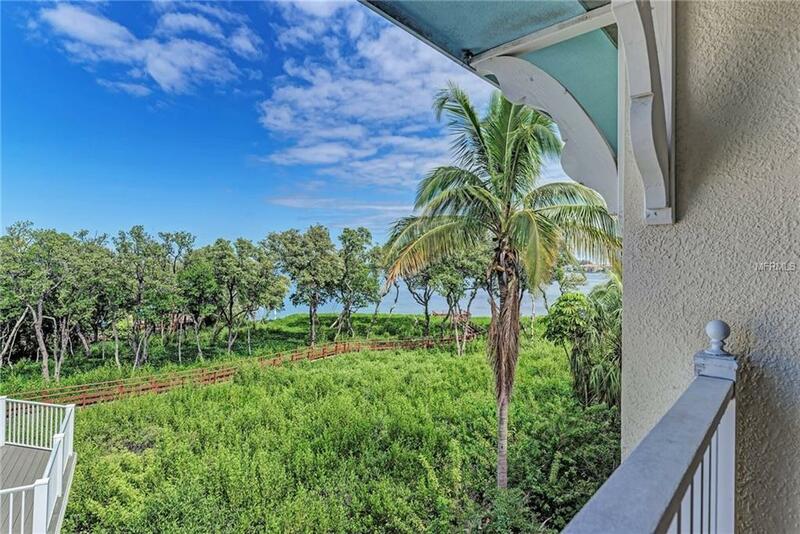 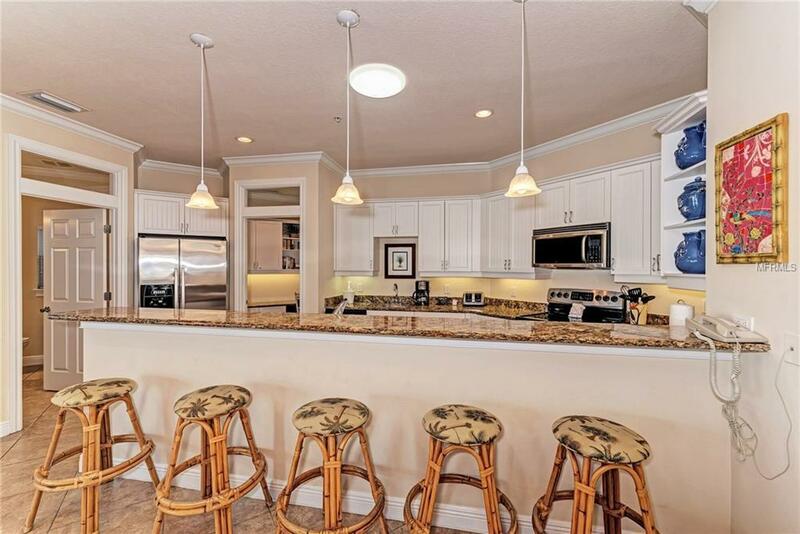 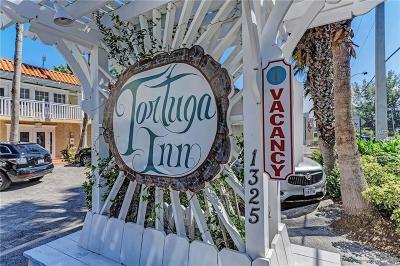 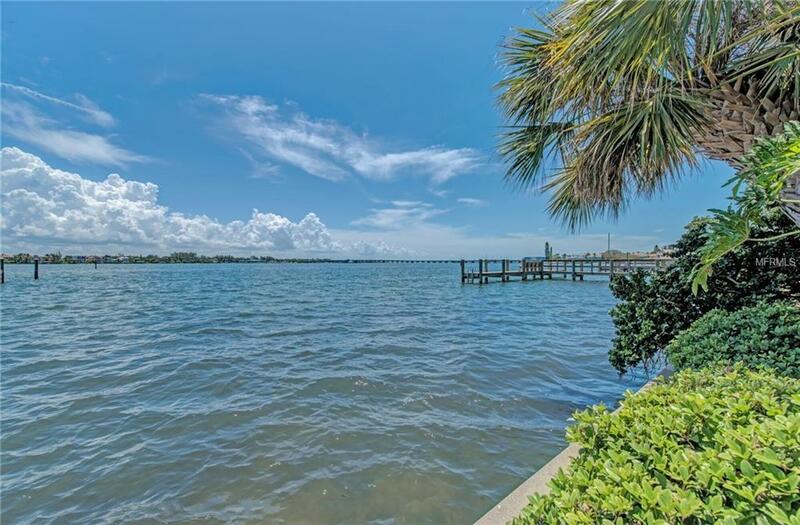 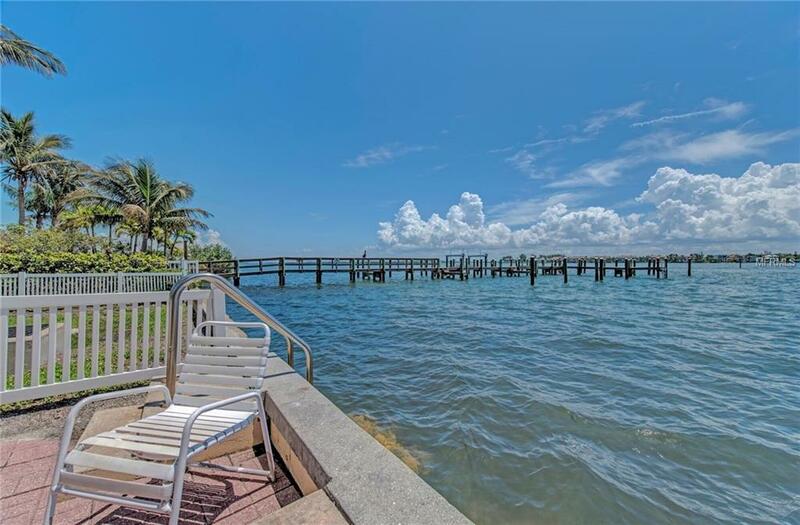 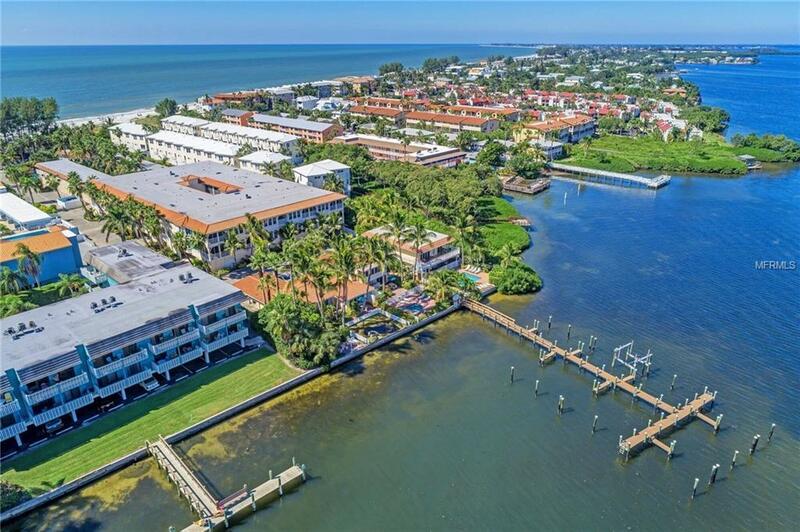 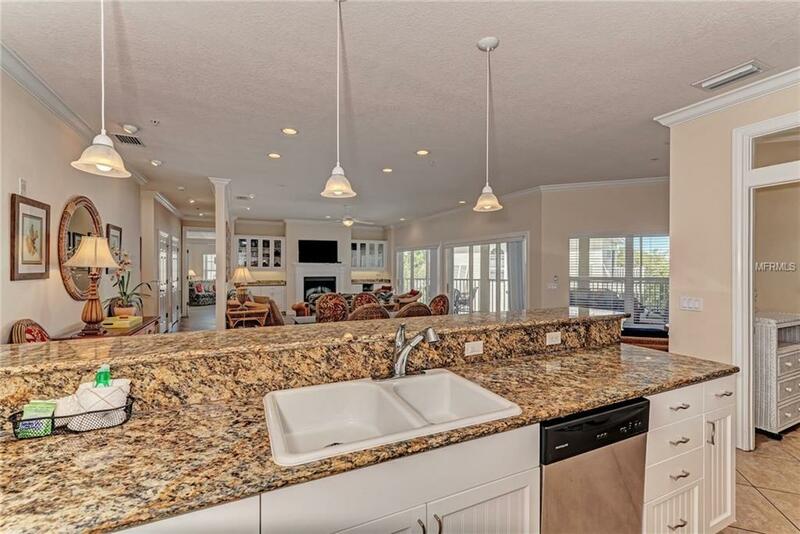 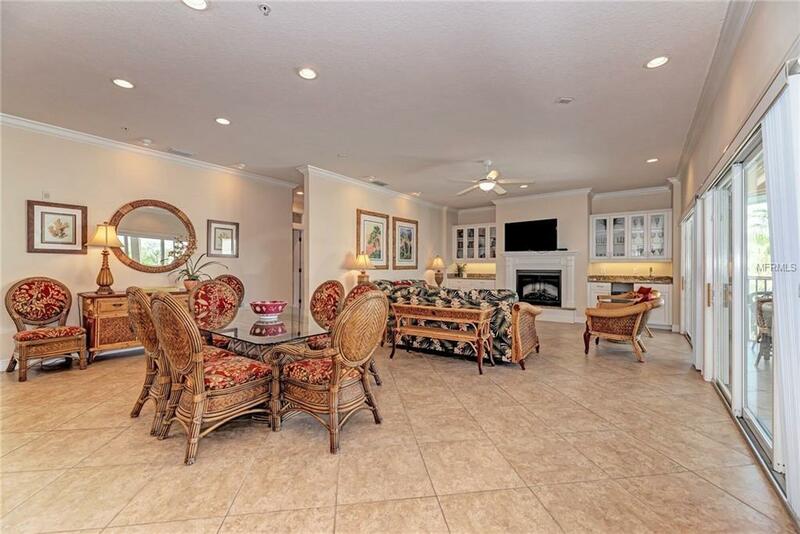 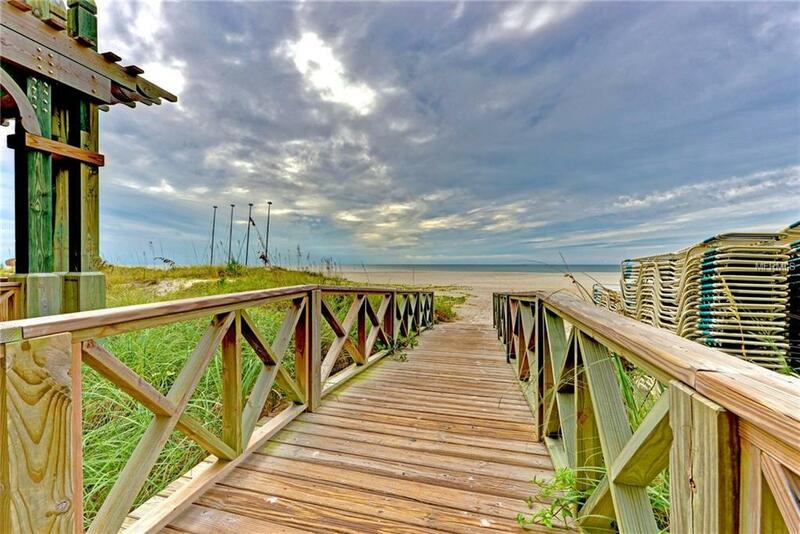 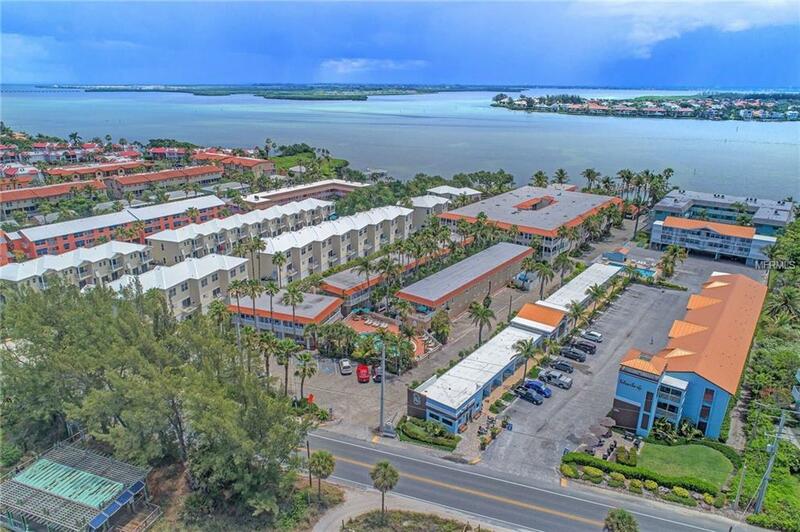 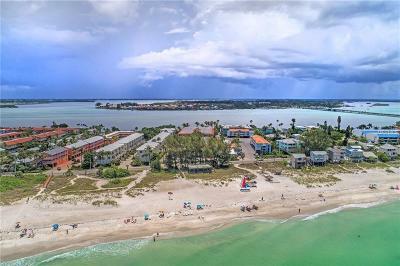 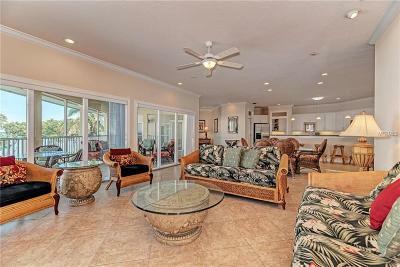 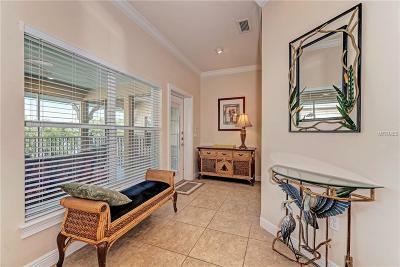 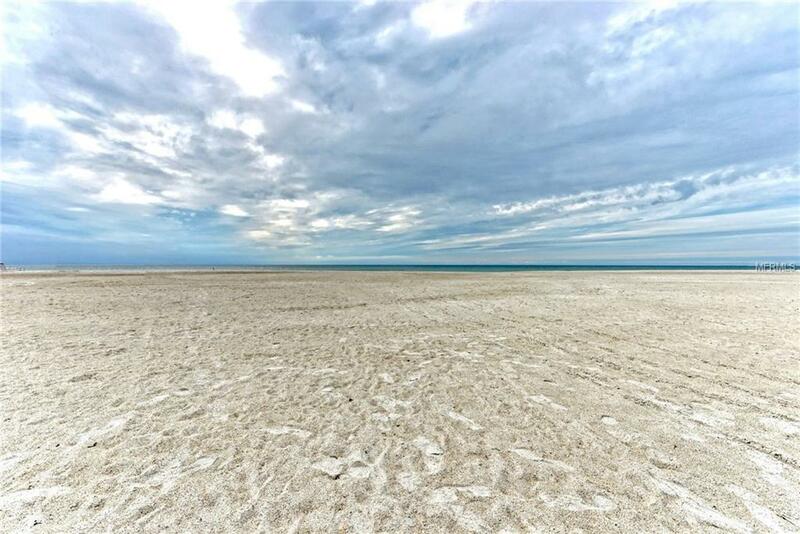 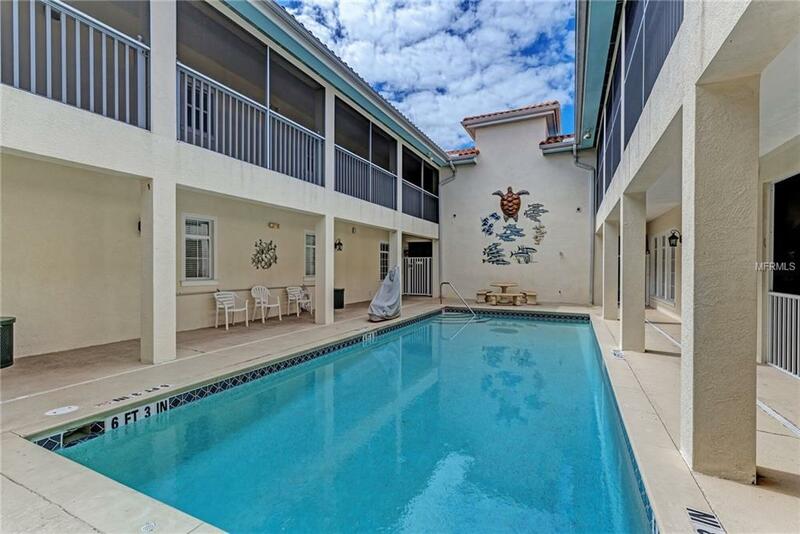 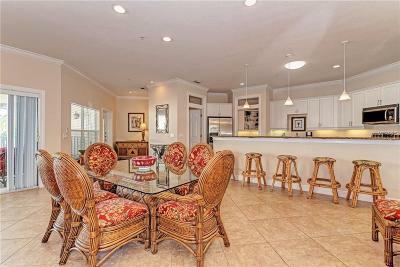 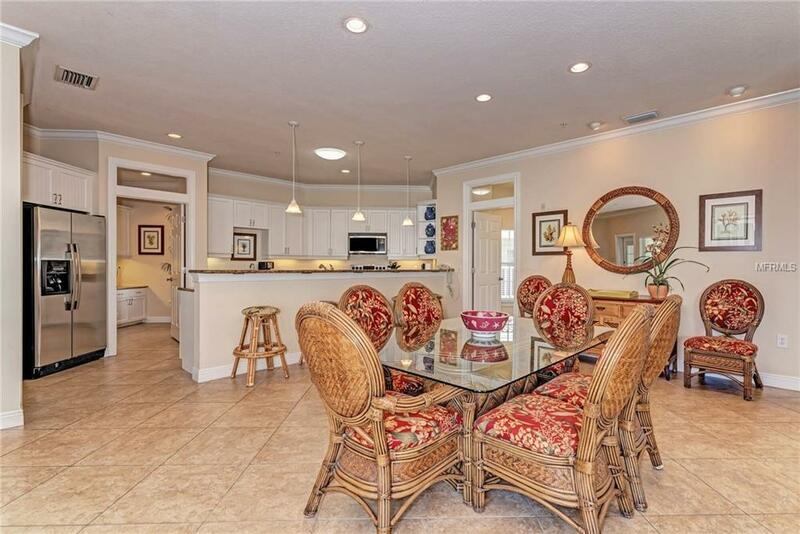 GRANDEST CONDO AVAILABLE AT TORTUGA! 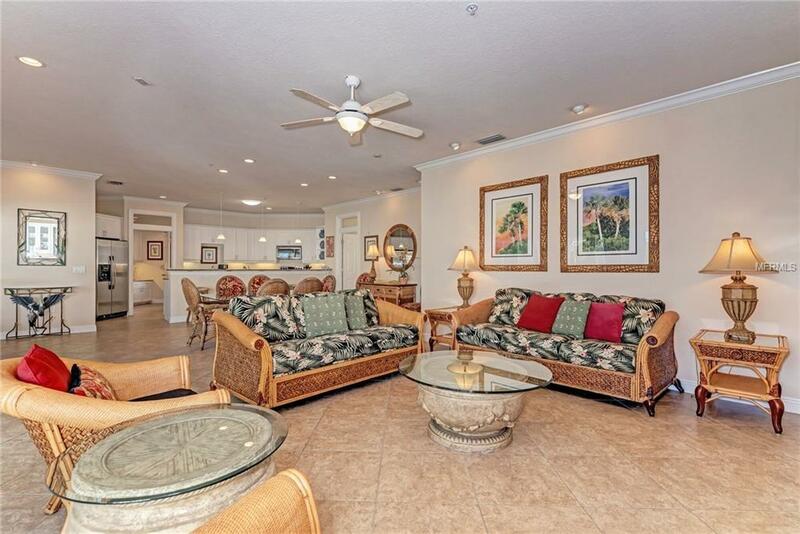 Unlike any other Unit #268A, B & C- can gain double Rental Income. 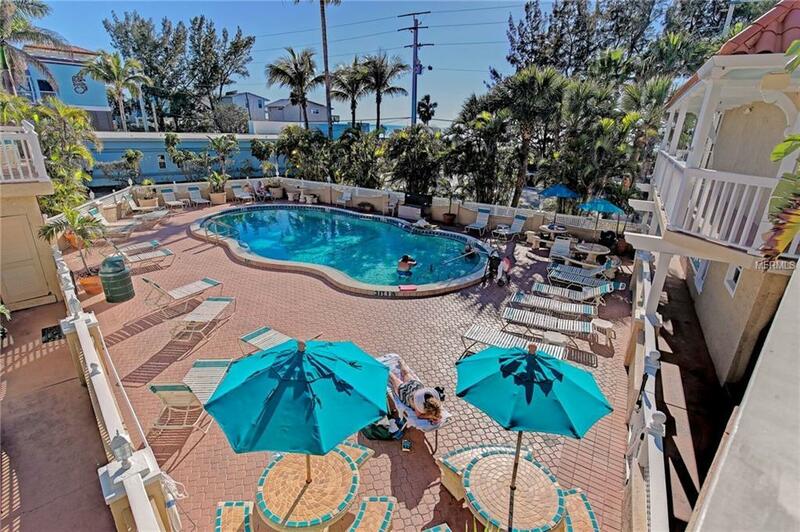 The established resort Management provides positive cash flow above all operating costs and takes care of it all! While at the Award Winning Beach-to-Bay Resort stay in this Condo with extended family or Rent out one of the rooms that locks off while here! 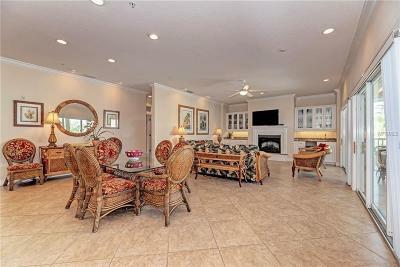 Magnificent upgrades include a massive Great Room with Fireplace and trey ceilings with crown molding throughout. 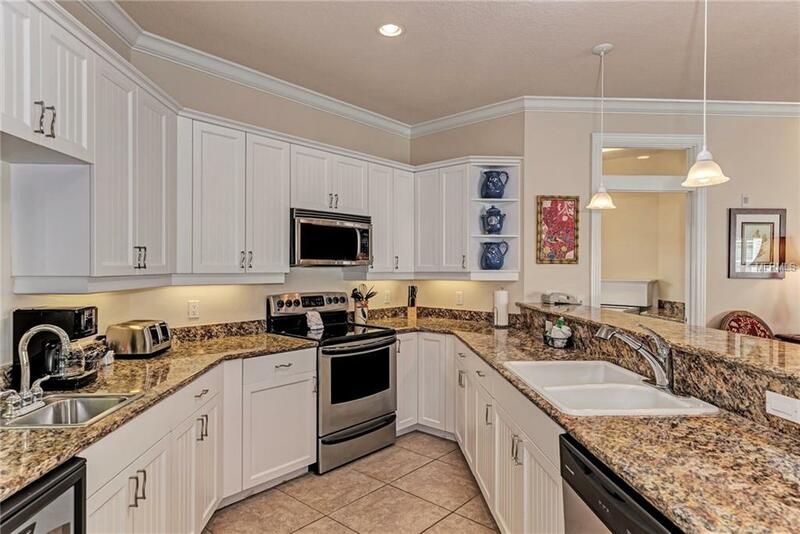 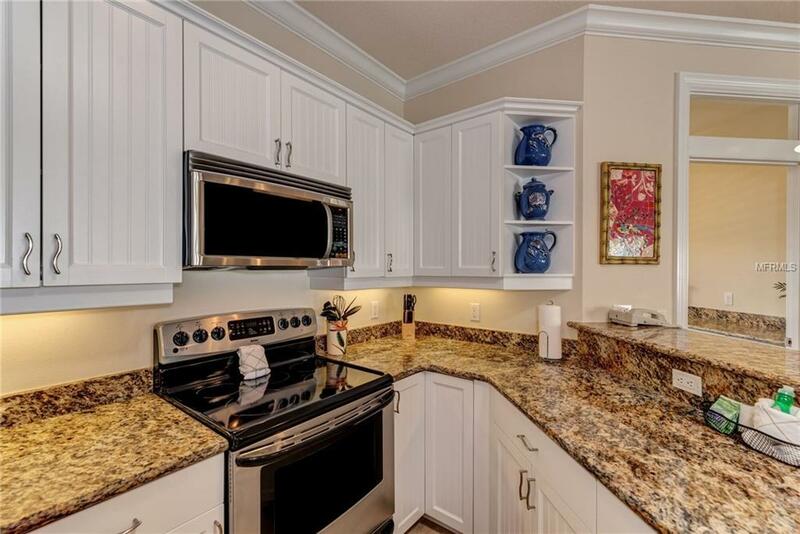 The kitchen has Stainless Steel Appliances and granite counter tops, with Breakfast Bar for entire family to enjoy meals before heading out. 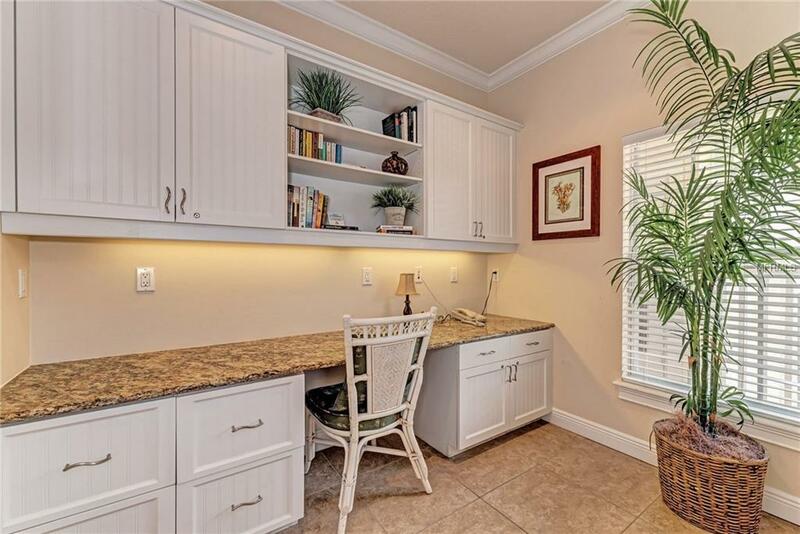 The Office has a built-in desk, next to a full bathroom with shower. 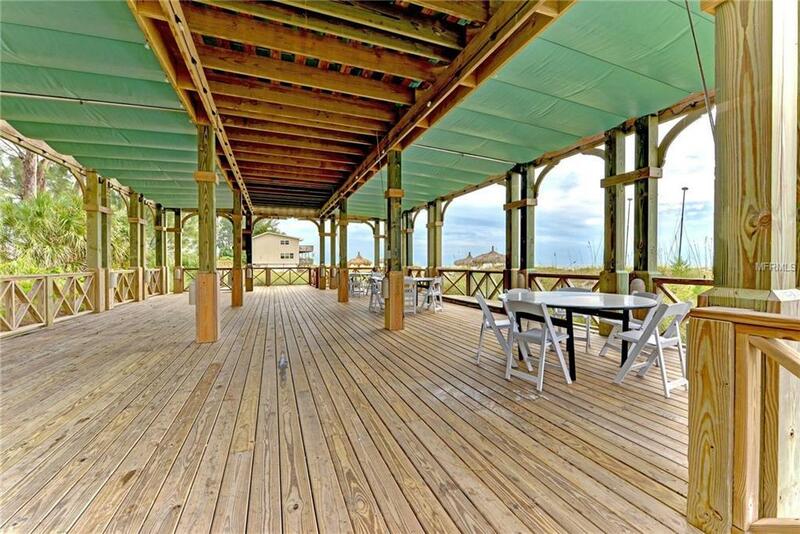 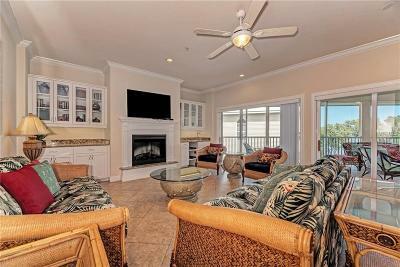 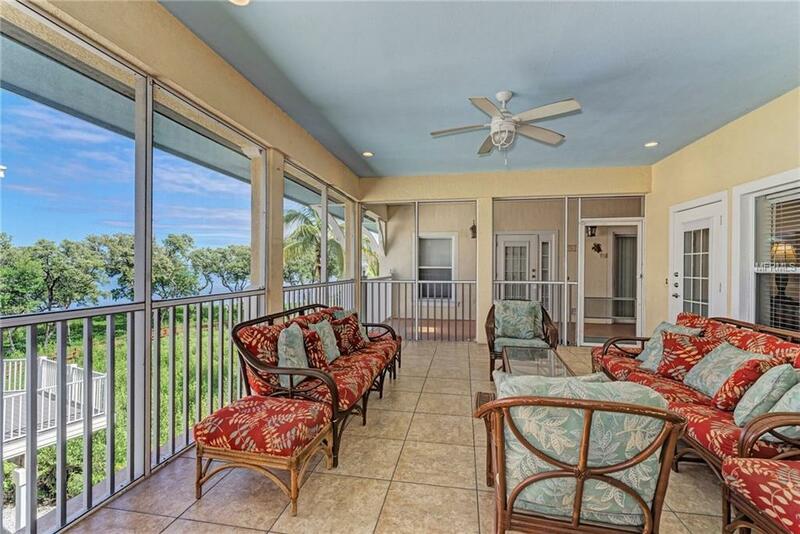 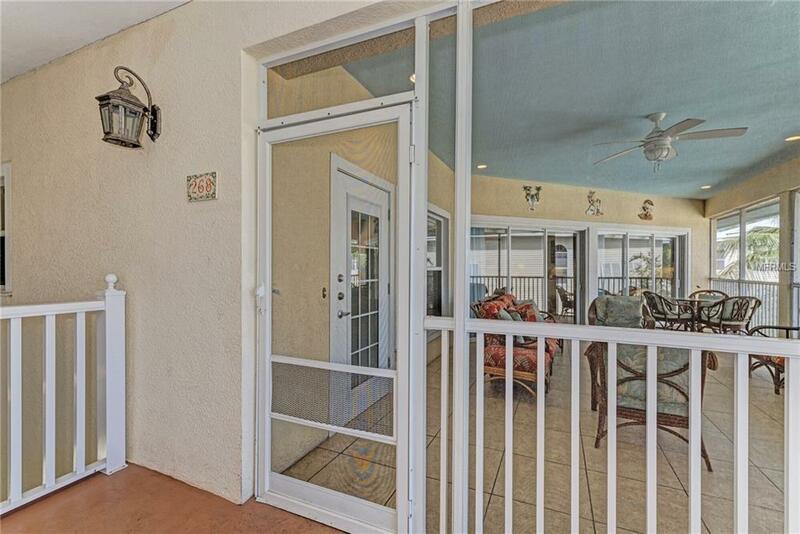 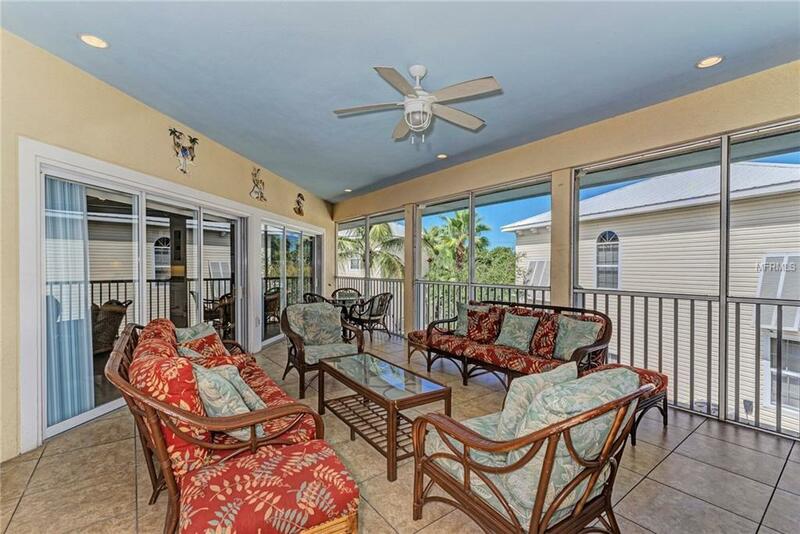 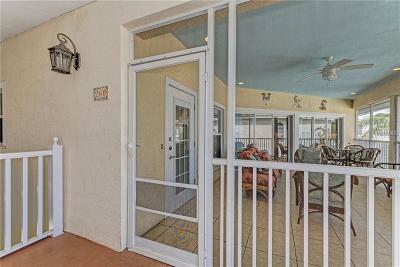 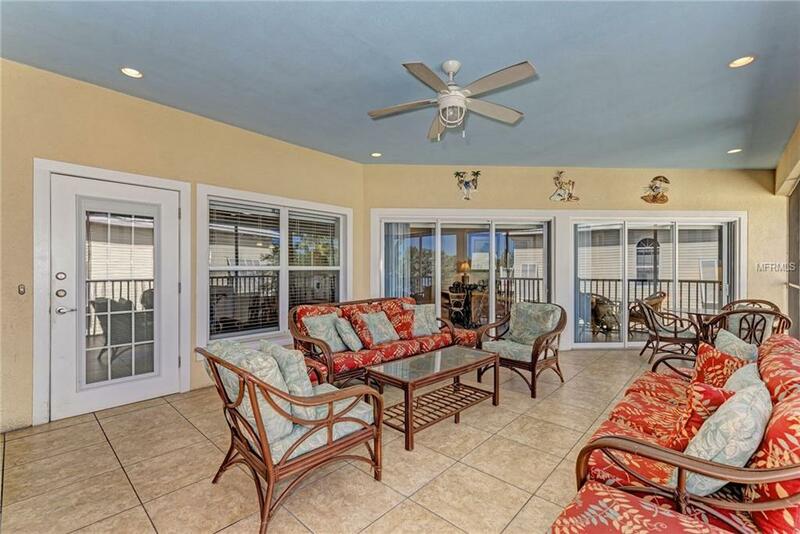 Take in the gorgeous weather on the over-size screened in Lanai with a view of the Bay. 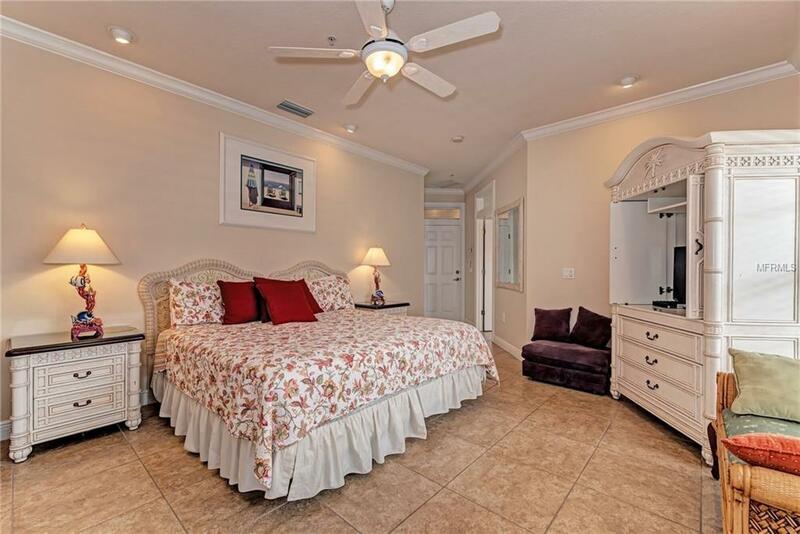 The Master Bedroom has a large walk-in closet with it's own microwave & coffee maker. 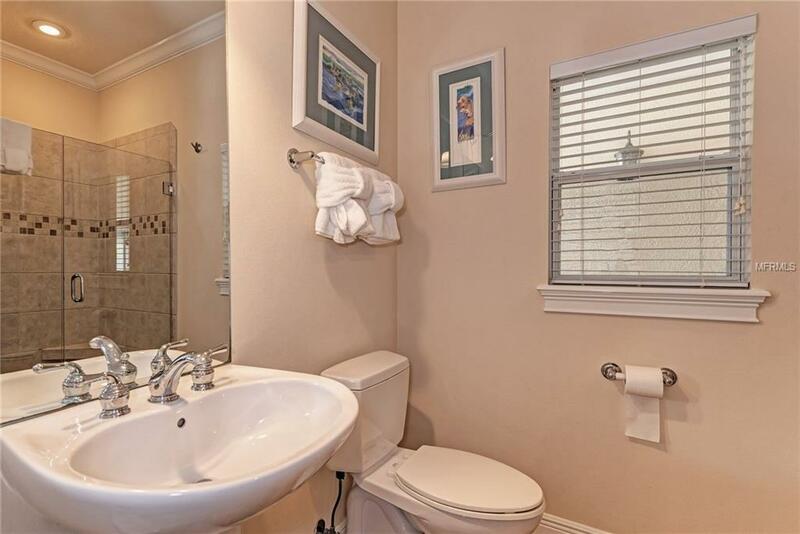 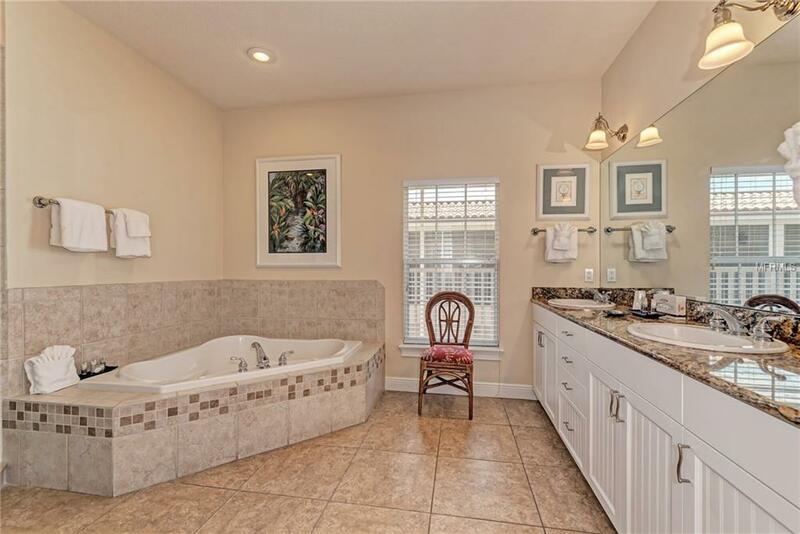 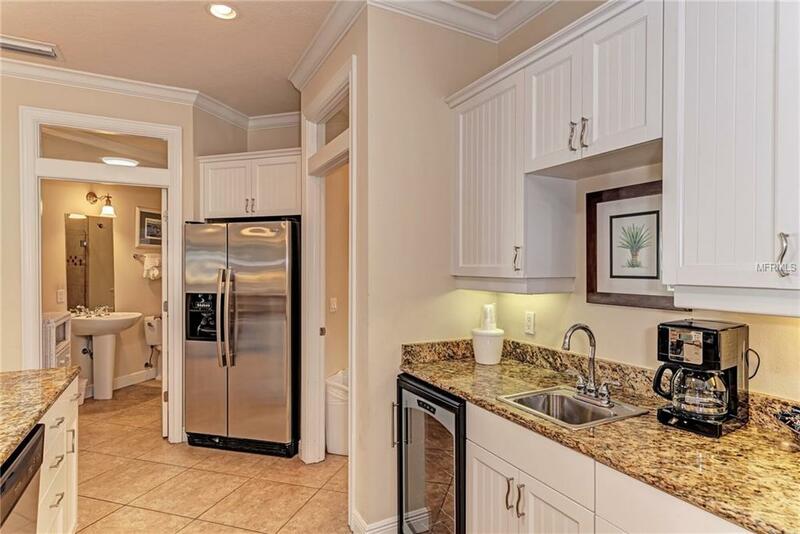 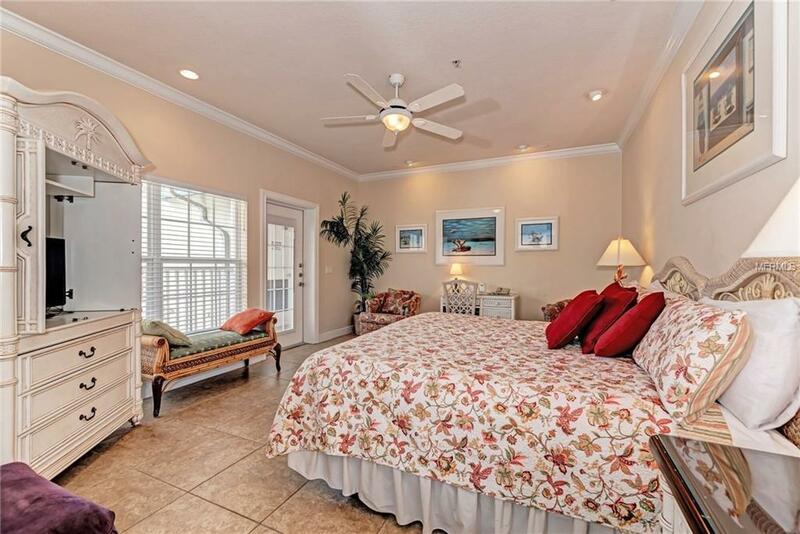 The Master Bath has a double vanity and nice jacuzzi tub to relax in after day at the beach. 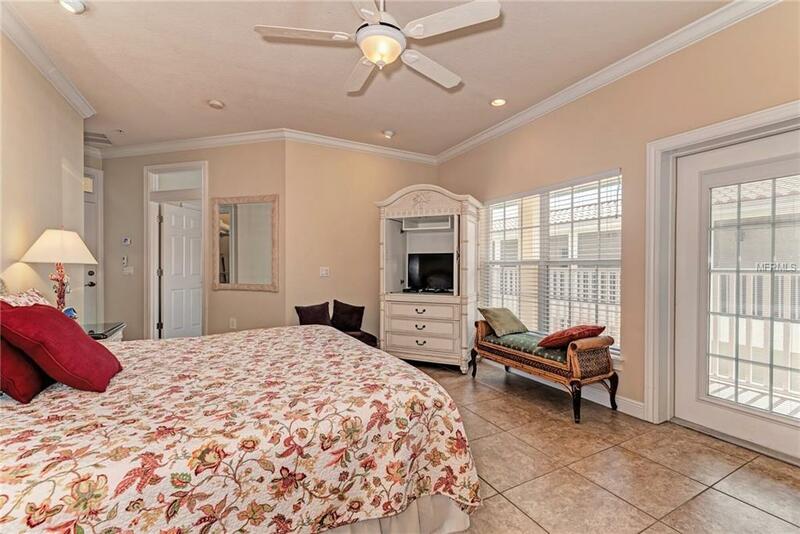 The Second bedroom has same larger closet with microwave & coffee maker to provide for guests that rent them out separately. 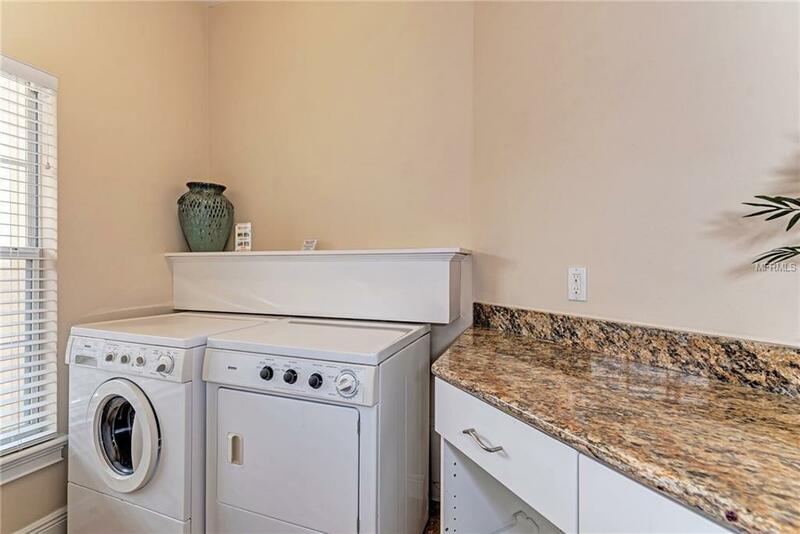 The Laundry Room makes it convenient for extended stays and provides further storage. 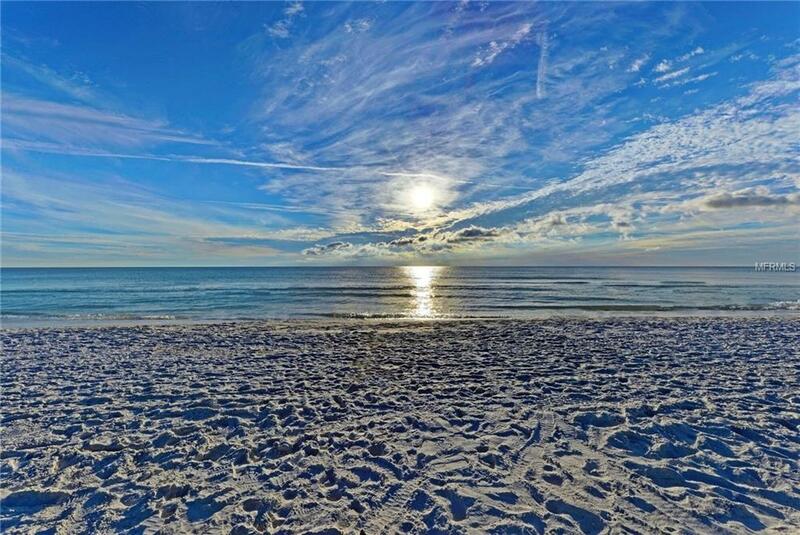 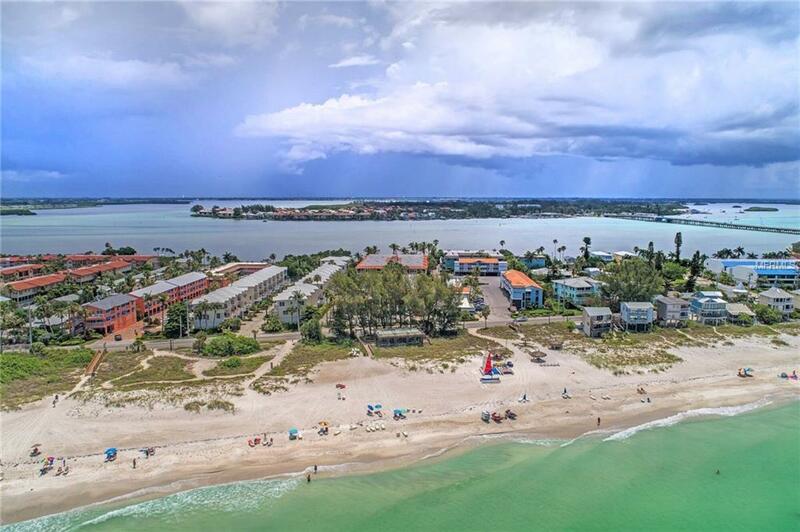 Enjoy Anna Maria Islands pristine beach with free lounge chairs, umbrellas and a pergola to relax in. 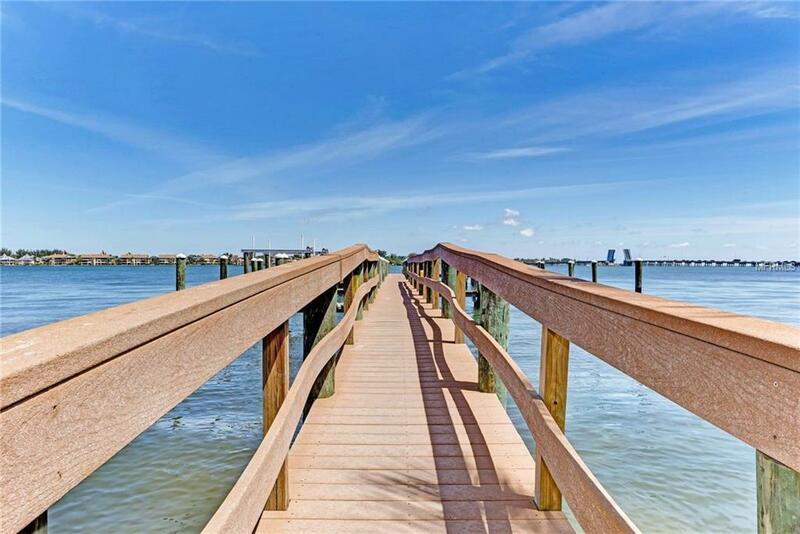 Or spend time in the back on the Bay on your own Deeded Boat Slip fishing! The Resort has two community pools to enjoy as well, and one of the few resorts that allows pets. 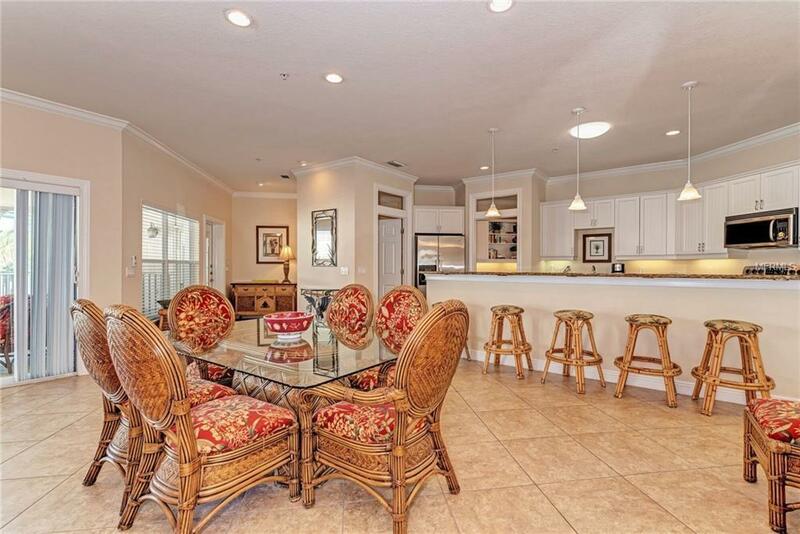 Nearby Restaurants & shops- this unit is Turnkey and awaits your arrival!